Born in Omaha, Nebraska, Russell Patterson settled in New York City, where he had a career as an illustrator, landscape painter, and designer. He studied at the Art Institute of Chicago, the Academy of Fine Arts in Chicago and also claimed to have been a student in France of Claude Monet. Patterson was a member of the Society of Illustrators and the American Institute of Designers. Branching out from magazine illustration Patterson worked on Broadway. 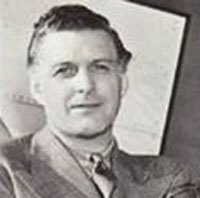 He was a costume, director and scenic designer of the 1932 Ballyhoo as well as other Broadway shows; Fools Rush (1934), Ziegfeld Follies (1934) and George White's Scandals (1936). Please contact us if you are interested in selling your Russell Patterson paintings or other artwork from the 19th century and early 20th century.